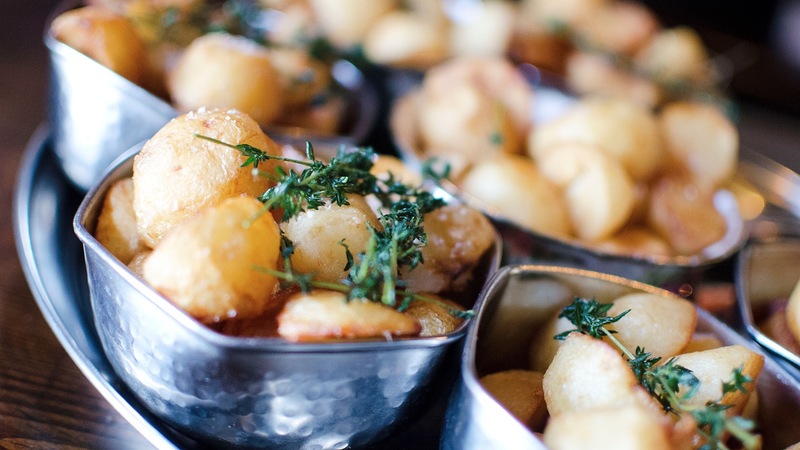 Melbourne’s vibrant food scene has no shortage of treats that won’t bust your weekly budget. From tasty Mediterranean and Asian classics to Middle Eastern and American dude food, these are all excellent dishes by chefs at the top of their game. 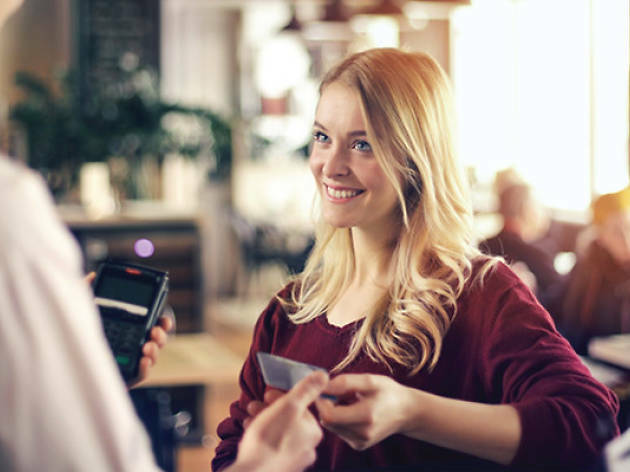 All these venues take American Express. Would you like a complimentary side with your meal? 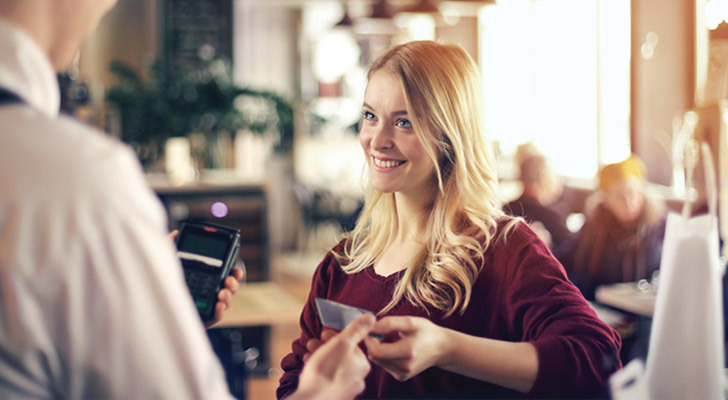 Check out these Side with Amex venues. 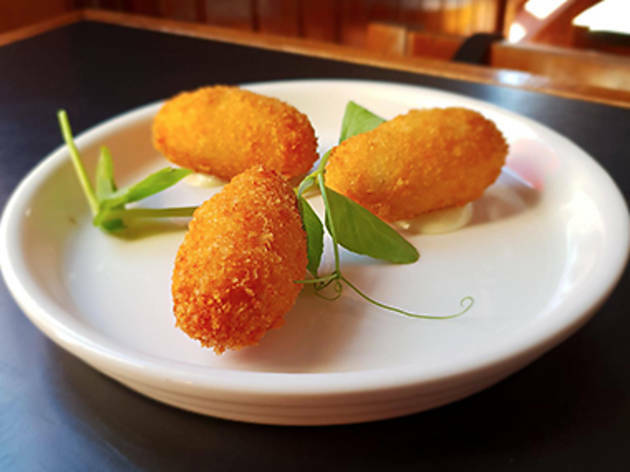 The tapas menu at the Bobby Burns can be overwhelming, but there’s one never-miss item: the jamón croquettes. These oblong little nubbins truly are the bar snack of your dreams – creamy, hammy, molten on the inside, golden crisp exterior. 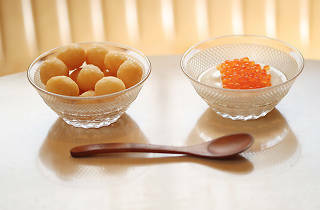 They’re addictive enough that you will not want to share. At happy hour they’re only $8, meaning a double serve will still come in well under the $20 mark. 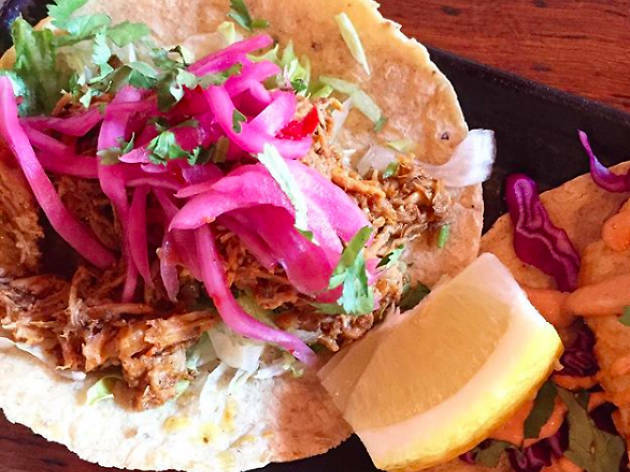 Melbourne is rich in tacos these days, but none are so soulful as the ones at Los Hermanos in Brunswick. 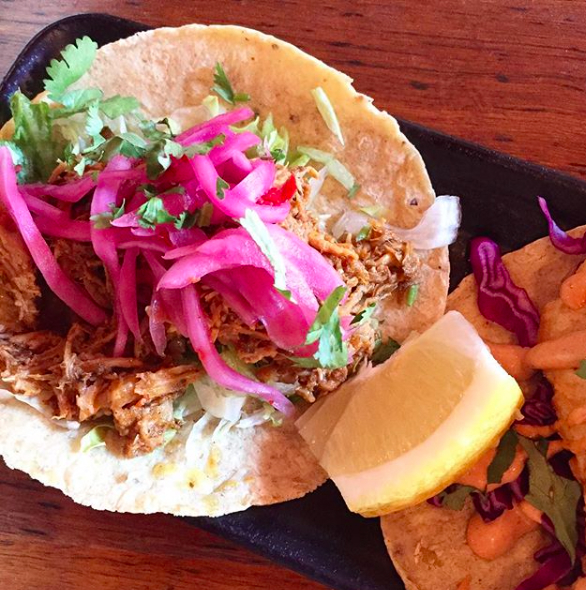 The corn in the tortillas is just cornier, the pork in the pork tacos juicier, the fish in the fish tacos crisper. They are also one of Melbourne’s great bargains at $5 or $6 a pop – cheap enough to stuff your face and still come away with tram fare. There are days for anchovies and artichokes, for porcini and capricciosa, and even days for tiger prawns. 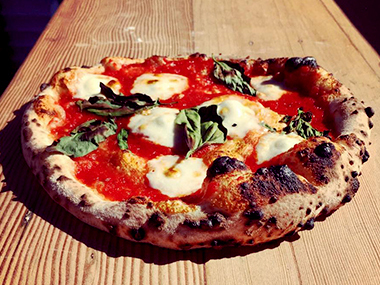 And then there are days when you just long for the purity of a Margherita, done well. On those days, you head to DOC, for the beautifully charred crust, the thin layer of San Marzano tomato sauce, the creamy mozzarella, the artfully strewn basil leaves. You can’t beat classic, and DOC does it best. Nothing causes people to lose their minds quite like fried chicken, and Melbourne has versions from all corners of the globe. Here at Belle’s, they’re peddling the Nashville hot style, where the rub is made from a fiery combination of spices. 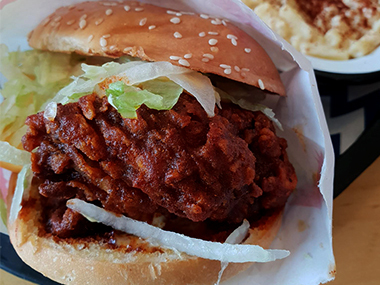 The chicken sandwich gets the medium spice rating, but the huge deep-fried chicken thigh hits the spot with lots of iceberg lettuce, a squishy bun and two slices of cheese – plus you get to choose one of the excellent sides. 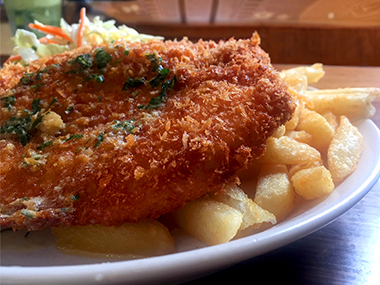 Usually $23, the brilliantly simple schnitty at Carlton’s best gastropub is also available as a counter meal special for $18 at lunch time. Juicy chicken breast encased in a crisp breadcrumb coating with garlic and parsley is served with the Lincoln’s outstanding chips and a lemony fresh ’slaw. It’s enough of a bargain that you’ll easily justify that sneaky lunchtime beer. 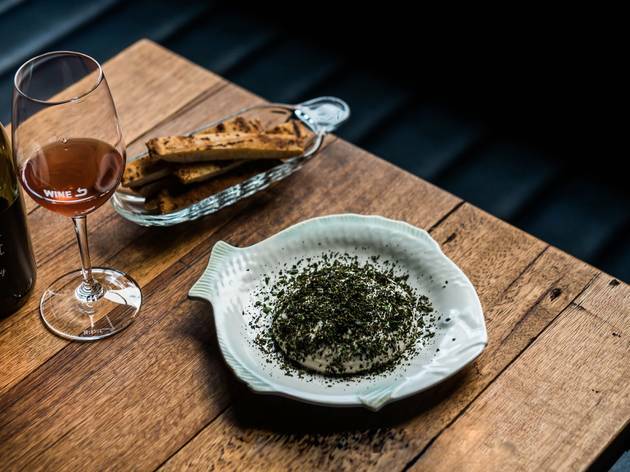 Have you ever found yourself late at night, walking home down Russell Street, and then somehow you’re sitting at the bar at Embla for one last glass of wine? Before you know it, there’s a glorious dollop of duck liver in front of you – who knows how it happened? 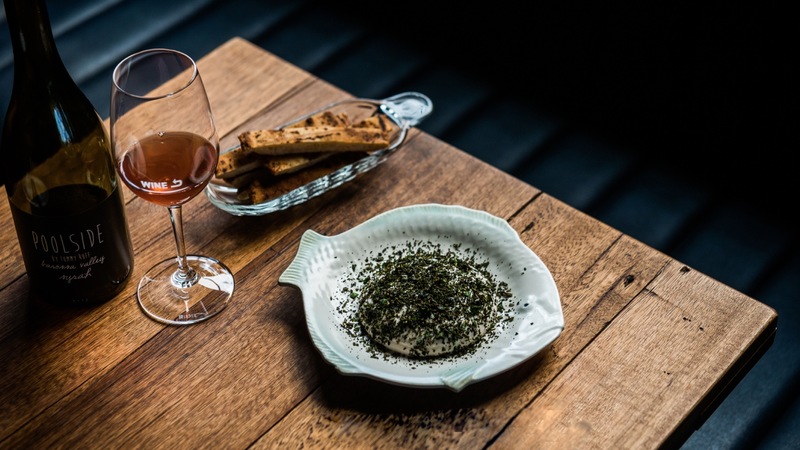 Even if you’ve already had dinner, it’s OK – Embla’s is so rich and creamy it almost counts as dessert anyway. Glorious, salty, meaty dessert. If rich, pure comfort was for sale, you’d expect it to cost a lot more than $18, but that’s the price of the spag bol at Grossi Florentino’s Cellar Bar, and it’s about the closest thing to pure comfort money can buy. 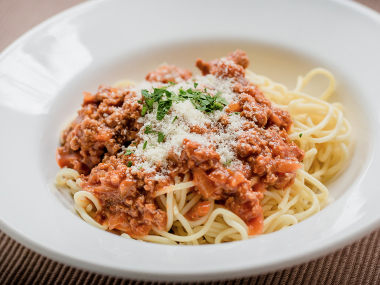 This is a glossy, deeply meaty Bolognaise, brimming with flavour and a texture that makes it cling beautifully to the al dente pasta. Glass of red, shower of parmesan cheese, and you’ve bought yourself a bowl full of love. 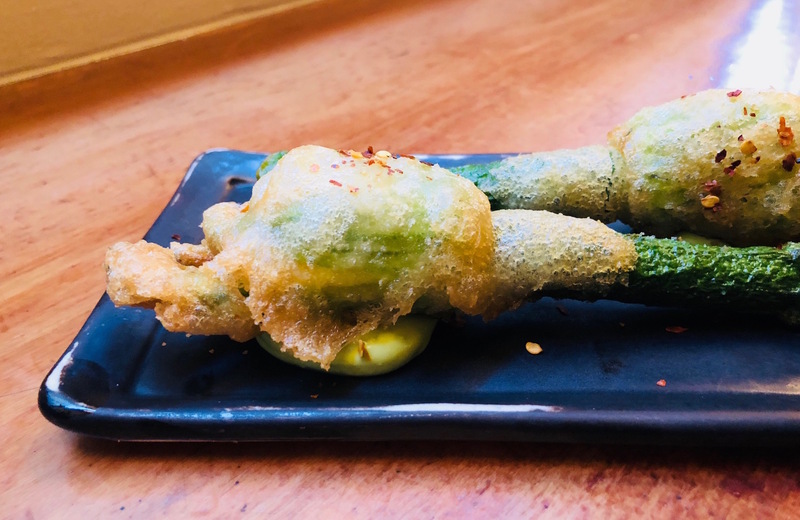 A gorgeously crisped zucchini blossom is a thing of great beauty, but the folks at MoVida take this already wonderful creation and bump it up a notch or four by stuffing it with spanner crab. 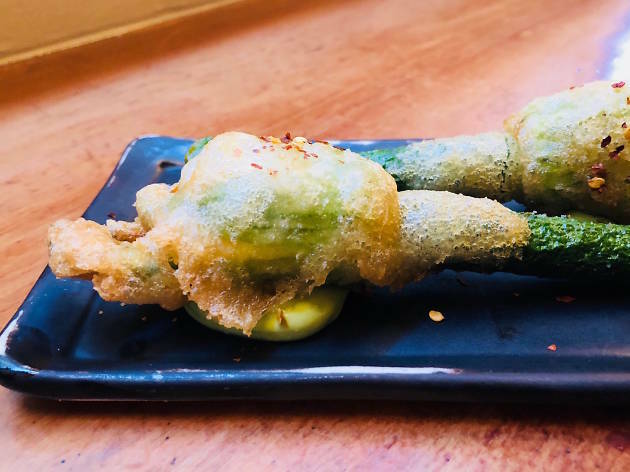 The result is the melding of two distinctly different kinds of delicate flavours: the sweet oceanic delicacy of the crab and the springtime vegetal lightness of the zucchini flower. Sit in the window and enjoy this ridiculously affordable treat while you watch the throng of Instagrammers posing in front of the street art outside. 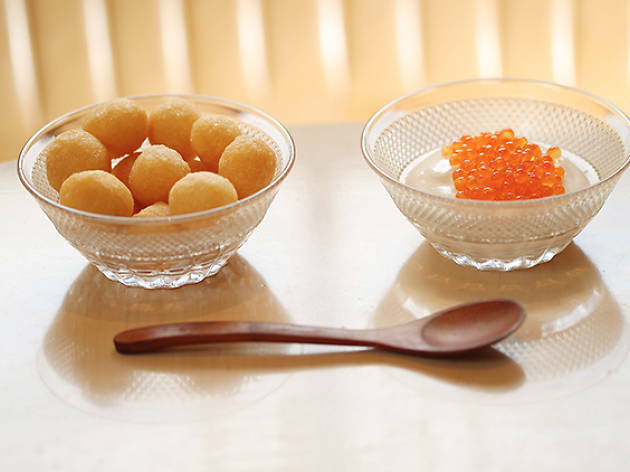 This may be the simplest item on Epocha’s menu, but it is also one of the most memorable things you’ll eat at Carlton’s friendliest fine dining establishment. 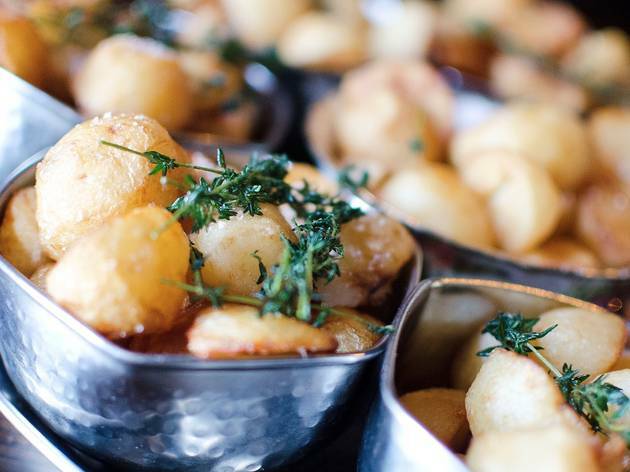 The potatoes are cubed and cooked to a gorgeous golden brown, imbued with all the rich flavour – but none of the greasiness – of rendered duck fat. It does not matter what else you’re eating: get an order (or three) of these to go alongside. 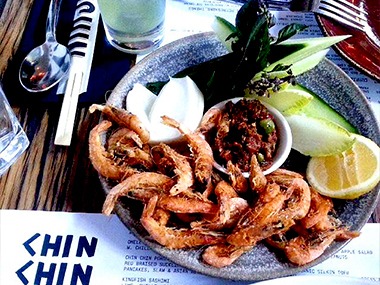 Once you’ve braved the queue and finally gotten a seat at Chin Chin, reward yourself by stuffing your face full of crisp, crunchy, salt-and-peppery crustaceans. The school prawns here are a serious upgrade from your standard pub version – fatter, more flavourful, and they come with a fantastically spicy sambal on the side. It isn’t the wildest dish on the menu by a longshot, but it is one of the most satisfying.